I created this recipe as a cream to spread on pancakes. To my delight, it firmed up like a custard. Not only can this recipe be used as a rich spread for pancakes or crepes but it makes a delicious, quick dessert. 1. Put all the ingredients in a small saucepan and cook on medium heat. 2. As it heats, mash the banana with a wooden spoon and mix it with the peanut butter and water. 3. If you want it very creamy, you can use an immersion blender to mix the ingredients while heating up. 4. Let cook until mixture starts to bubble. Remove from heat. 5. 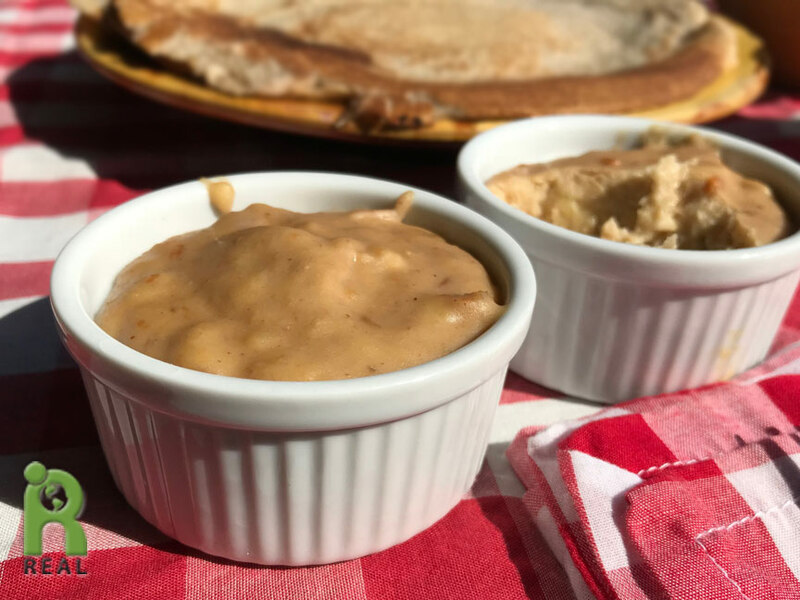 Use immediately as a warm spread for pancakes or crepes, or pour into small ramekins and let chill.